Thursday, March 28 1:30-3:30 p.m. Learn how to make Filipino egg rolls and a popular, traditional noodle dish to wow your friends and family! Filipino egg rolls are a savory snack made of crepe pastry skin called "lumpia" wrapped around a mixture of savory fillings of chopped vegetables or sometimes also minced meat. Space is limited, so call 535-0803 early to sign up. March 28 / 7- 8 p.m. 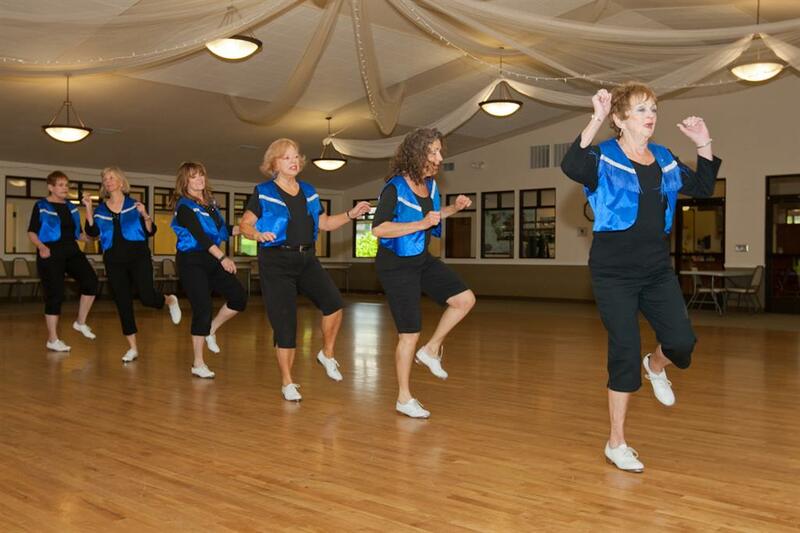 This Salsa intro class is open to everyone, all ages, and no partner is required. Teacher Jim Renn, owner/operator of Spokane Salsa/Salsa ‘en el Bolsillo’ has studied and danced Salsa for 18 years. He began in Spokane’s original Salsa club and has been training and dancing all over the western hemisphere. Friday, April 19 or 26 / 3–4 p.m.
Get recipes and learn how to make your own green cleaning solutions in this one hour class taught by Dawna of eco-life cleaning. You will make one product of your choice — glass cleaner, household cleaner, or daily shower spray. You will choose your own combination of essential oils for a scented green cleaning solution to take home. All ingredients are provided and you do not need to bring anything but yourself. Each class is limited to 15 participants, so sign up early to reserve your space. Sign up at the front desk. Have you turned down a chance to go out with family or friends because you were concerned about falling? Have you cut down on a favorite activity because you might fall? If so, "A Matter of Balance: Managing Concerns about Falls" is a program for you. Aging & Long Term Care of Eastern Washington is offering a free, eight-session class series on Mondays and Wednesdays beginning Monday, April 1 and concluding April 24. A workbook is provided and refreshments are included. A Matter of Balance is designed to reduce the fear of falling and increase activity levels among older adults. Participants learn to set realistic goals to increase activity, change their environment to reduce fall risk factors, and learn simple exercises to increase strength and balance. Registration forms are available at the Southside Community Center front desk. Please call Aging & Long Term Care if you have any questions about the class, (509) 458-2509 ext. 218. A 10-week series begins in January for those grieving significant losses. It is designed for those grieving the death or decline of a loved one, or the functional losses related to aging and chronic illness, and who are at least three months from their initial loss. Group leader Lisa Marie Smith is a retired psychiatrist with a master's degree in English and American literature. Please see flyer available at front desk for more details, contact and registration information. January 18 - March 22, 2019, Friday afternoons 2 - 3:30 p.m. $100 for the entire 10-week series. Have you always wanted to learn how to play a stringed instrument like the violin, cello, viola or bass? Instructor Susan Roberts is teaching classes at the Center in February. The first six week session (2/7/18 – 3/21/18 at 10:30am – 12 noon) will cost members, $30 for nonmembers or $6 per lesson (if you don’t to pay for the full 6 week Materials will be given to students on first day of class. If you don’t have an instrument, may be able to find one for you or loan you one. For additional information, call Susan on 990-0999. To reserve your spot please call the front desk on (509) 535-0803. First and Third Thursdays, 1-2 p.m.
James (Jim) Brink, Ed.D.—song and dance man for 35 years– will teach this class for beginners and intermediates. James taught dance as a public school teacher. Most recently he taught line dancing in Spokane as a community activity at a local church. Wear slick (leather soled) shoes. Expect country-style dancing versus inner-city style line dancing. This class, open to all skill levels, offers a total body workout and lots of fun. Inspired by Latin dance, it offers low- and high-intensity movements for calorie burning fitness. We offer ACT 2 classes through Spokane Community College, Spokane Parks and Recreation classes and our own classes. For more information or to register for ACT 2 classes, call (509) 279-6025. Please call (509) 535-0803 with any questions and suggestions.